The Homicide Squad reports the details of a serious motor vehicle accident, in which a pedestrian was struck, that occurred in Levittown on Saturday, 05/23/15 at 4:53 P.M.
Update - May 25, 2015 - The victim, Frank Ilardi, 79, of Levittown has succumbed to his injuries and was pronounced at 10:00pm on May 23, 2015 by a staff physician at the Nassau University Medical Center. Levittown, NY - May 23, 2015 - The Homicide Squad reports the details of a serious motor vehicle accident, in which a pedestrian was struck, that occurred in Levittown on Saturday, 05/23/15 at 4:53 P.M. According to detectives, a male victim, 79, while attempting to cross from south to north on Hempstead Tpke./Grassy Lane, was struck by a passenger vehicle, operated by a male driver, 85, who was traveling eastbound on Hempstead Tpke. The victim, who suffered broken bones and head trauma, was transported to a local hospital where is listed in critical condition. No other injuries were reported. Detectives report no apparent criminality. Brake and safety inspections were performed at the scene. 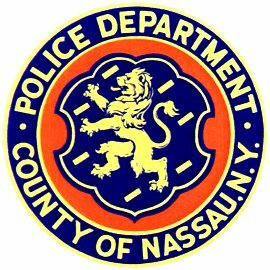 Subject: LongIsland.com - Your Name sent you Article details of "Update - Pedestrian from Serious Motor Vehicle Accident in Levittown Succumbed to His Injuries"